Cats often eat grass in the nature, my cats also eat a lot and it seems they really like it. It is not clear why cats eat grass. A few theories exist: one of them says that that habit has some evolutionary advantages: cats get extra niacin, a B vitamin abundantly available in most fresh young grain grasses. Some claim cats eat it to make themselves vomit. Some people believe cats eat grass to help pass fur balls along while others say they just need the fiber for other nutritional purposes. And some say cats eat it just because they like its taste or simply they like to “try” things. 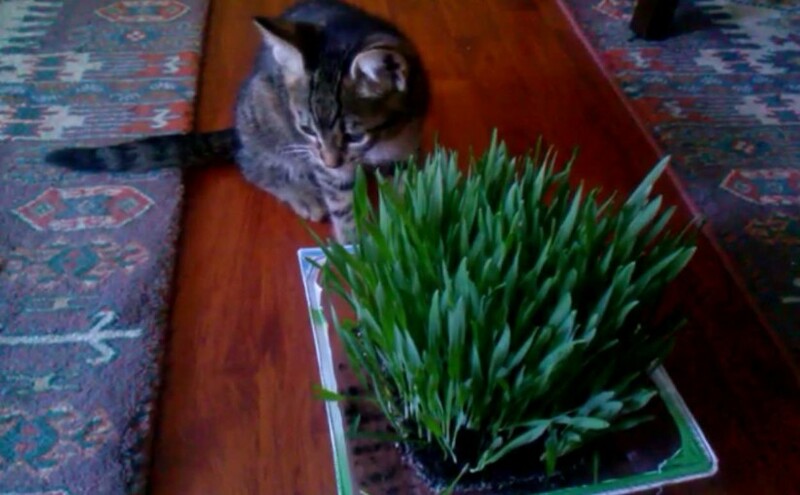 For whatever reason the cats eat grass, my cats really like eating it (see the videos above). And it is really easy (and cheap) growing cat grass at home. There are many different types of seed, but it’s usually oats or wheat. You should be able to find it in your local pet store, I usually buy it over the Internet. You need only some soil and some grass seed to grow cat grass at home. Separate around half a glass of soil, and put the rest into a small pot. Lay the seeds evenly over the top of the soil, press down lightly. 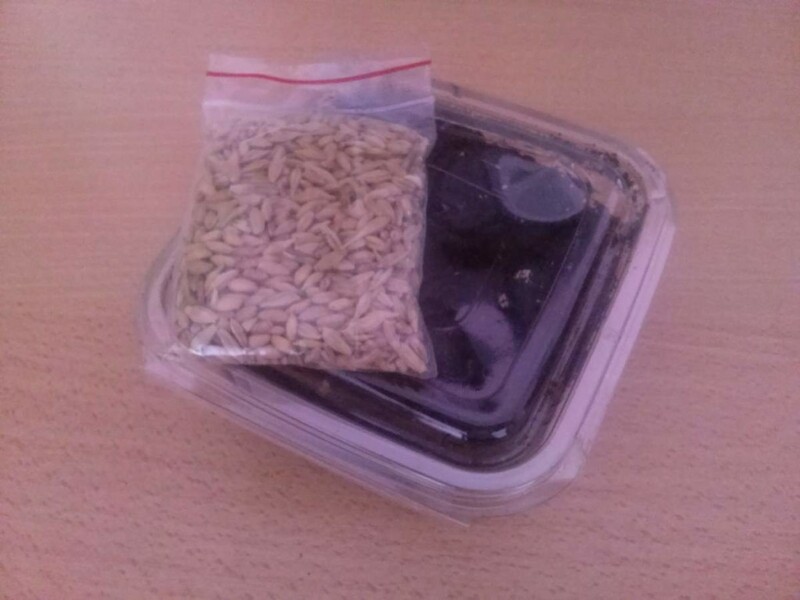 Put the soil that you separated at the 1st step over the seeds. Pour some water. The soil must be moist, but not wet. Then put it in a light place, a sunny windowsill is OK.
Do not water the seeds for 4 days. The seeds should start spouting within 4-7 days. After four days, water the grass everyday. The grass will be green and fresh at least 3-4 weeks if you water them regularly (I mean every day, I prefer in the evenings). Once the grass is 1.5-2 inch long (around 4-5 cm), move it to a spot easily accessible to your cat(s).